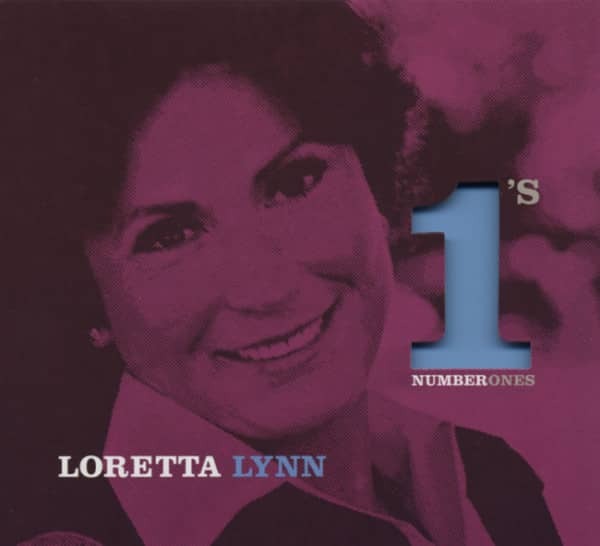 Loretta Lynn, sie hieß vor ihrer Ehe mit Mooney Lynn Loretta Webb, gehört neben Kitty Wells zu den urwüchsigen Sängerinnen des Country Genres. Mit ihrer etwas lispelnden Stimme schafft sie es, fast jedem Song das gewisse Etwas mit auf den Weg zu geben. Vor ihrem 14. Geburtstag war Loretta Lynn schon verheiratet und mit 32 war sie Großmutter. Für Nashville entdeckt wurde sie von den Wilburn Brothers, nachdem sie mit „Honky Tonk Girl“ bereits einen ersten Hit hatte. Patsy Cline war ihr großes Vorbild gewesen und Patsy war es auch, die der unerfahrenen und verschüchterten Loretta den ersten Schliff vermittelt hatte. Doch Patsy Cline starb 1963 und Loretta Lynn musste allein weitermachen und schaffte es. Ende der 60er und die ganzen 70er Jahre hindurch gelangen ihr zahlreiche Hits, sie wurde ein Superstar. Mit Conway Twitty sang sie jahrelang im Duett. Mit dem Beginn der 80er Jahre ließen die Platten der Loretta Lynn dann allerdings viel vom Feuer und Ideenreichtum der vergangenen Jahre vermissen, sie wirkte ausgebrannt und müde. Die bewegte und packende Lebensgeschichte der Loretta Lynn von der armen Bergmannstochter zum Superstar erzählt sie in ihrem Buch „Coal Miner's Daughter“, das neun Wochen lang auf der Bestseller-Liste der New York Times stand und später auch verfilmt wurde. In der Bundesrepublik hieß der Film „Nashville Lady“. Die Premiere war am 4. 3. 1980 in Nashville - Tennessee. If untrue, Loretta Lynn's story would strain credibility. Born in a one-room cabin in Butcher Holler, Kentucky, she was married at thirteen and was living in upstate Washington when she began singing. Some Canadians financed a recording session, and her first record was a hit. It led to a contract with Decca and to the Grand Ole Opry. Resettled in Nashville, Loretta befriended Patsy Cline and went on to score more than seventy-five hits. Her story became a best-selling book, and the book became a top-grossing movie. And her career had a triumphant second act when she was coaxed from semi-retirement by Jack White of the post-punk group the White Stripes to collaborate on a top-selling, Grammy-winning record. Loretta's recording career begins here. She was living in Custer, Washington, and singing in upstate Washington and across the border in British Columbia, Canada. In Vancouver, BC, songwriter Don Grashey and Chuck Williams ran a label, Zero Records, bankrolled by a lumberman, Norm Burley, and a future mayor of Vancouver, Art Phillips. The label started around February 1960 with three records including one by former Fabor artist, Ginny Wright, singing Grashey's only hit as a songwriter, Are You Mine. According to Williams and Grashey, they spotted Loretta singing at the Chicken Coop in Blaine, Washington, and offered her a contract, dated February 1, 1960. One week later, Grashey took her to Los Angeles for a session. According to steel guitarist Speedy West, he was summoned to a small studio on Cahuenga Boulevard to work with Loretta and some pick-up session guys. Taking Loretta and Grashey to one side, he told them she deserved a better studio and better sidemen, and arranged for a session at Western Recorders with the cream of his buddies from the lately deceased Hometown Jamboree. On I'm A Honky Tonk Girl, Loretta overdubbed a harmony vocal on the chorus, and Speedy was so busy the record was almost a steel guitar solo with guest vocal. According to Loretta, it was about a woman she saw drinking beer and crying most nights at a nightspot near her, Bill's Tavern. Zero pressed up 3500 copies and mailed most of them to dee-jays and reviewers. Charlie Lamb at 'Music Reporter' was moved to poeticism: "New artist with extra special commercial sound," he wrote on March 21. "Has that vibrant voice that's blended with the expansive sunshine, the rustling trees, and the meadow smells." I'm A Honky Tonk Girl was a hit because it was so refreshingly un-Nashville, and because Loretta and her husband got in their car and drove clear across the country stopping everywhere they saw a radio tower. 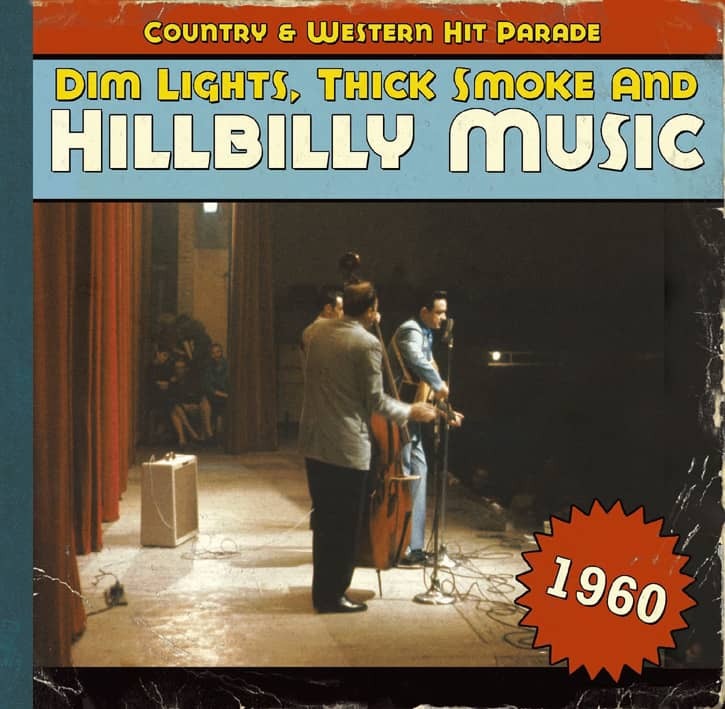 They rolled into Nashville sometime in October 1960, and landed a guest spot on the Opry. After Decca's Owen Bradley offered a contract, the Zero Records partners graciously let her out of her contract, although it took some persuading for Bradley to take her. For one thing, Bradley knew that I'm A Honky Tonk Girl was a throwback and wasn't going to cross over, and for another he already had Kitty Wells in that style. But by luck or judgment, Bradley backed a winner.